This comprehensive guide to gluten-free dining in Connecticut is brought to you by Abby Kelly, founder of Gluten-Free New England. Connecticut has always been ahead of the curve when it comes to gluten-free dining. And, as the number of people avoiding gluten rises at record pace, the number of restaurants working to accommodate them is absolutely skyrocketing. Although this makes going out to eat really fun, it also makes the job of compiling a list of favorites really difficult. And so, we present to you some of our favorite restaurants offering excellent gluten-free options. If we missed one of your favorites, please add your spot to the comments section below. *Some restaurants on this list are dedicated gluten-free facilities and some are not. Always use your own judgement when eating out. A couple of years ago Plan B restaurants transitioned all of their fryers to gluten free. Nobody noticed except for us and all the other gluten-free folks in Connecticut, and oh how we celebrated. You can now visit any of their 6 statewide locations for rice battered onion rings, fries, chicken tenders, tater tots and more, along with one of their awesome burgers on a gluten-free bun. Plan B can prepare your meal separately to limit the risk of cross-contamination but is not a dedicated gluten-free facility. Maggie McFly’s is truly committed to sourcing locally. They’re also committed to providing deliciously safe gluten-free food. All locations have dedicated gluten-free fryers for chicken tenders, fries, sweet potato fries and more. They can also put your burger on locally made gluten-free cheese bread, and they offer GF pizza crusts as well. Maggie McFly’s can prepare your meal separately to limit the risk of cross-contamination but is not a dedicated gluten-free facility. If you’re looking for upscale dining that’s celiac-safe, Burtons Grill is your place. With locations throughout New England and down the east coast, all Burtons locations have dedicated gluten-free fryers for calamari, fries, wings and haddock. They also offer burgers on GF buns as well as crab cakes, lobster shrimp pasta, risottos and more. Burtons can prepare your meal separately to limit the risk of cross-contamination but is not a dedicated gluten-free facility. Red Heat Tavern is the younger, sassier sibling of Burtons Grill. With multiple locations throughout New England, their specialty is gluten free. They offer an extensive menu of GF options from corn bread to buffalo chicken sandwiches, fried pickles, wings and more, all served on color-coded plates. Oh, and don’t forget the warm chocolate chip cookie topped with ice cream for dessert! Max's Restaurant Group operates multiple restaurants in the Greater Hartford area from fine dining to burgers, and each one of them can accommodate celiac diners. Just be sure to inform your server before placing your order. Max's can even accommodate celiac diners at their summer farm dinners, where gluten-free sliders aren't totally out of the question. 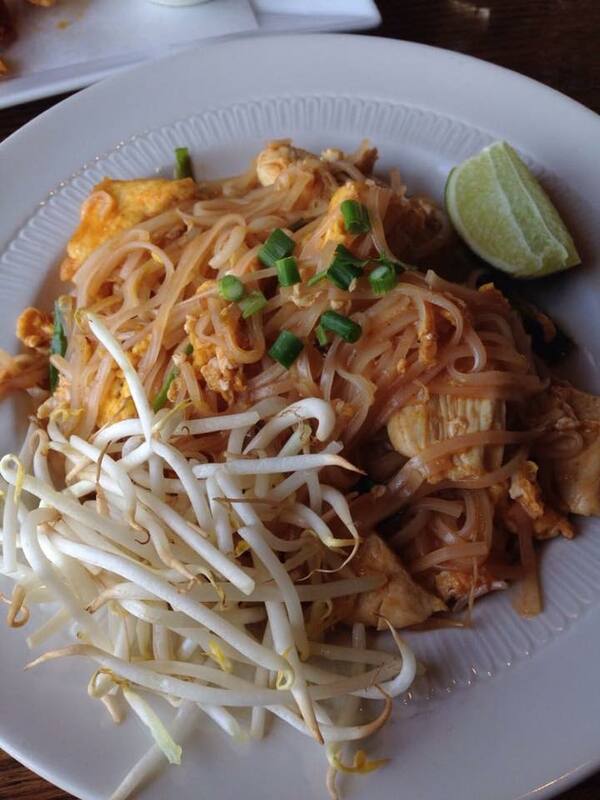 Much of Thai cuisine is inherently gluten free, which is fortunate, because we’re suckers for a good pad thai. 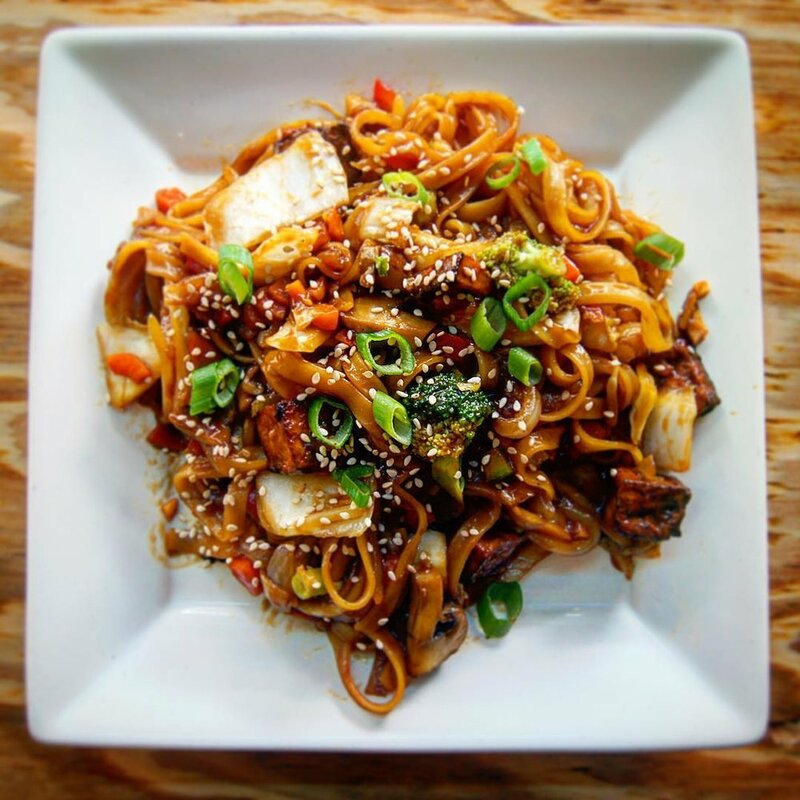 Elephant Trail and their sister restaurant Blue Elephant Trail can prepare many of their menu items safely GF, and, in our opinion, hsve the best pad thai and drunken noodles in the Greater Hartford area. Elephant Trail and Blue Elephant Trail are not dedicated GF facilities. Inform your server of your dietary needs. El Pollo Guapo is a rotisserie chicken/taco joint serving up fresh bowls, salads, tapas, plantains and more. They’ve got dedicated fryers, they can prepare your meal safely, and they make the best (and safe!) tortilla chips we’ve ever had. Inform your server before ordering. El Pollo Guapo goes to great lengths to avoid cross-contamination, but they are not a dedicated GF facility. Wood-n-Tap has multiple locations throughout the state which offer GF burger buns and pizza crusts, but only the Southington one boasts a dedicated gluten-free fryer for fries and wings. Wood-n-Tap can prepare your order separately, but they are not dedicated GF facilities. Harry’s Pizza Bishop’s Corner is consistently rated as one of the best pizzas in Greater Hartford, and if you ask us, their gluten-free pies are winners as well. They prepare their GF pizzas separately with different pans, utensils, and toppings. And they offer vegan cheese! Much of Indian cuisine is inherently gluten free, but If you’re seeking the ultimate Indian bistro for gluten-free options, Indigo is the place. They understand how to prepare food safely, the menu is clearly labeled, and they even have a dedicated fryer. Inform your server about your dietary needs before ordering. Indigo goes to great lengths to limit the risk of cross-contamination, but they are not a dedicated GF facility. Wang Palace is safe Chinese food. And, if you’re highly sensitive to gluten, you know that safe Chinese food isn’t easy to find. These guys know how to prepare meals separately and safely, and they even have gluten-free dumplings. Wang Palace is not a dedicated gluten-free facility, but they are a local (and not so local!) celiac favorite. Inform your server of your dietary needs. Passiflora is tucked away in adorable New Hartford, serving all kinds of locally sourced sandwiches, soups, smoothies and treats – many of them both gluten-free and vegan. They’re not a dedicated gluten-free facility but they serve excellent food, are committed to community. Heirloom Food Company sits quietly on the border in Danielson serving up quite an extensive menu of gluten-free sandwiches, soups, sides, salads, desserts, and smoothies. Everything on the menu can be made gluten free and it’s all vegan except for the tuna wrap and turkey sandwich. You can pop in for breakfast or lunch in their spacious and comfy dining room or just grab a cookie and a smoothie to go. They also cater. Heirloom Food Company can prepare your meal separately to limit the risk of cross-contamination but is not a dedicated gluten-free facility. Toast Four Corners is one of those places you hope you’ll find when you’re looking for a good, local gluten-free breakfast spot. They’ve got GF pancakes, waffles and toast, and they make their own gluten-free muffins in-house. Toast Four Corners can prepare your meal separately to limit the risk of cross-contamination but is not a dedicated gluten-free facility. Nature’s Health Store is part store, part GF café, and part GF bakery. Really, does it get much better? 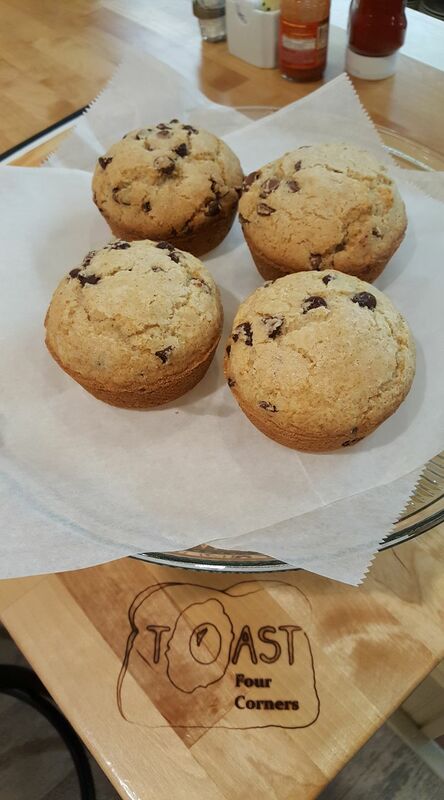 Their dedicated GF facility cranks out incredible wraps, sandwiches, soups and more, while their bakery is known for amazing muffins, cupcakes, bars and whatever deliciousness they think up. You can enjoy your meal in their small but sweet dining room or take it home to enjoy. What’s Cookin’ kinda has paleo and gluten free covered. They make all sorts of sandwiches, salads, and breakfasts, all available gluten free, and most available paleo as well. They even make their own paleo bread! They’ve also got lots of sides, prepared foods and even a kids’ menu. What’s Cookin’ makes every effort to avoid cross-contamination, but is not a dedicated GF facility. Da Legna may not be one of the oldest pizza joints in New Haven, but it’s definitely one of the gluten-free best. We’re not sure how they do it, but we’re not sure we care. It’s just plain good, and they offer vegan cheese. You have to visit Green Olive Diner to fully appreciate the size and quality of their gluten-free menu. Just reading it took some time, but delightfully so. They make their own Gf pizza dough and the menu is full of fun stuff from mozzarella sticks, pancakes, French toast, fried dough, to chicken parm, fries, burgers, desserts and so much more. Green Olive can prepare your meal separately to limit the risk of cross-contamination but is not a dedicated gluten-free facility. Home is a pretty special place to the gluten-free community in Connecticut. They’ve been accommodating gluten-free guests since before it was cool, and they always have unique menu options that you won’t find anywhere else. Think French fries with dipping sauces, fried bread (don’t knock it ‘til you try it), house made gnocchi, sweet potato croutons…you get the idea. They’re not a dedicated GF facility, but they do have a dedicated GF fryer and they can prepare your meal separately. They offer desserts as well. Shoreline Diner and sister location Georgie’s Diner in West Haven have been the gluten-free community’s go-to spots for many years. Their menu now lists the most common 7 allergens present in every menu item. They make their own GF breads and offer an entire vegan breakfast along with GF crab cakes, chicken parm, meatloaf, a dedicated GF fryer, incredible desserts and more. Now THAT’s our kind of diner! Shoreline and Georgie’s can prepare your meal separately to limit the risk of cross-contamination but are not dedicated gluten-free facilities. If you’re hungry in Litchfield, head to @The Corner. They have plenty of gluten-free options on both their lunch and dinner menus, including buns for burgers and sandwiches, flatbreads, and rice bowls. They take great care to prepare your meal separately, and although they are not a dedicated gluten-free facility, they are a local celiac favorite. Did we mention that they make their own GF croutons for salads and French onion soup? We’re betting that Hidden Valley Eatery won’t be so hidden to Connecticut’s GF folks after this. But that’s ok because this place is worth finding. They’ve got GF pancakes, toast, oatmeal, pizza, sandwiches, pasta, and even some GF desserts. They source locally, focus on healthy, and they cater. Hidden They can also prepare your meal separately to limit the risk of cross-contamination but are not a dedicated gluten-free facility. If you’re gluten free and live in or near Woodbury, you’re lucky to have John’s Café. 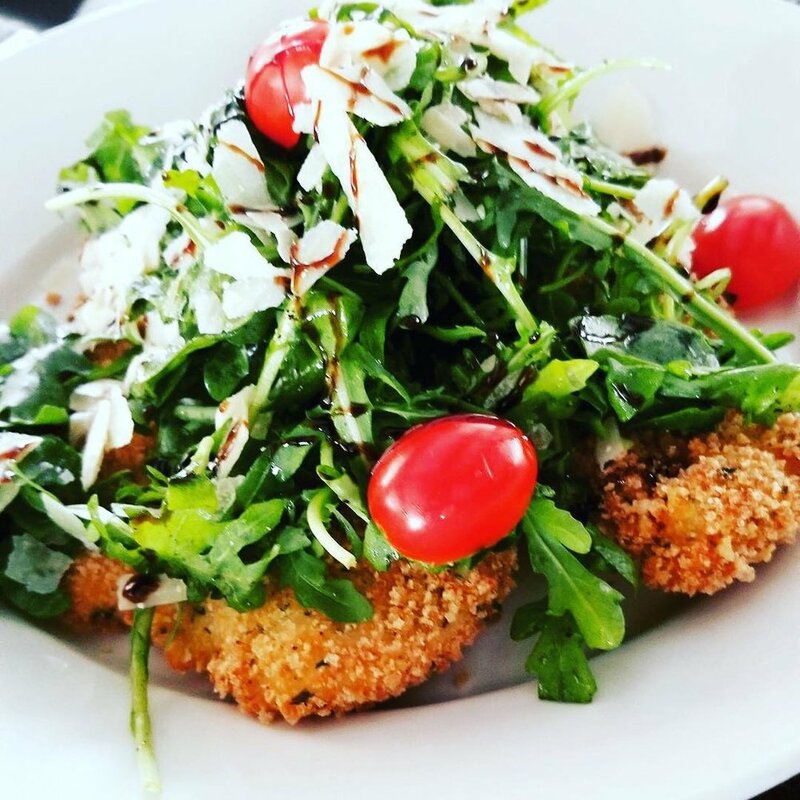 A bistro-style restaurant with tablecloths and outdoor seating, they offer plenty of GF options from crispy pork Milanese to pizza and pasta. They make croutons using their house made GF bread (potatoes are one of the ingredients), and there’s a dedicated fryer for their famous “chickpea” fries. But don’t forget dessert, because they make incredible GF tarts, rice pudding and more. John’s Café follows strict food prep practices but is not a dedicated gluten-free facility. If you are lucky enough to live near one of Colony Grill’s four locations, then you’ve got access to some really delicious and safe GF pizza. These guys prepare your pie separately on a GF crust, and they’ll make it any way you want. Colony makes every effort to avoid cross contamination, but is not a dedicated GF facility. Terrain always has safe, gluten-free options on the menu, which makes dining at their café as delicious as it is lovely. They’re also happy to accommodate your dietary restrictions, and can prepare your meal separately. Terrain makes every effort to avoid cross contamination, but is not a dedicated gluten-free facility. 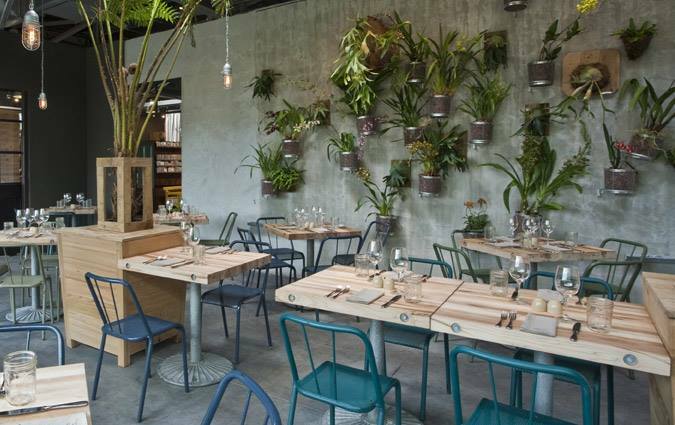 At Bartaco, they note on the menu only items that are not gluten free, and there are only a few. The servers are educated, the food is delicious and safe, and the place is just fun. Although the risk of cross-contamination at Bartaco is quite low, they are not a dedicated GF facility. Quattro Pazzi Café is the best of all worlds. Their authentic GF pasta dishes are prepared safely and separately, making them a local favorite for celiac dining. And, every Wednesday is “Vegan Night.” Need we say more? Mecha Noodle Bar has gluten-free pho. They prepare their rice pho noodles in a separate pot, and the soup broth is inherently safe. Add in all the fun toppings you want, and you’ll be in cozy, carb heaven. Mecha Noodle Bar can prepare your meal separately, but they are not dedicated gluten-free facilities. If you’re looking for an upscale meal in Fairfield, Toto is your place. They use only gluten-free flour and breading in their kitchen and they have a dedicated gluten-free fryer for calamari, fries, and more. There are plenty of rice and pasta dishes using gluten-free cavatelli (cooked separately) as well as fish, chicken, beef, and vegetarian options. Toto works hard to accommodate all guests, and they understand how to prepare your meal safely, but they are not a dedicated gluten-free facility. NewBrook Kitchen is 100% paleo, and paleo is always gluten free AND dairy free. These guys serve lunch and they regularly host specialty dinners. There are also prepared foods and desserts to take home, as well as other unique foods and products. Take it from us – this place rocks. Dedicated gluten-free facility. In Ethiopian and Eritrean cuisine, breads are made primarily using Teff, a small, nutty-flavored, GF grain popular in that part of the world. The bread, called injera, doubles as a plate and utensils, as groups use only their hands to eat, enjoying a meal, conversation, and community. There is no gluten used in the kitchen at Teff. Meli Melo has been serving up gluten free crepes seemingly forever. It’s pretty simple – order anything you want – just be sure to tell your server that you need for your crepe to be gluten free. Meli Melo can prepare your meal separately to limit the risk of cross-contamination but is not a dedicated gluten-free facility. Engine #6 Pizza is just plain fun. Housed in a defunct fire house, they make their own GF pizza dough for pizza, calzones, and breadsticks. Folks come from miles around with coolers to buy their pizza dough, and it’s clear why. (Be sure to read about the history of the fire house while you’re there!) Engine #6 prepares your meal separately to avoid cross-contamination, but is not a dedicated GF facility. Pizzetta is located in an historic house with plenty of outdoor seating, smack dab in the middle of Mystic. They have a big gluten-free menu with lots of delicious pizza and panini options. They also offer a large vegan menu, with their vegan cheese available for any menu item. Pizzetta can prepare your meal safely and separately, but they are not a dedicated gluten-free facility. Right Path is a 100% vegan café serving up plenty of GF options. Each menu item is clearly labeled with ingredients and many are inherently gluten free anyway. And, with choices like Liberation, Breathe, and Calm Chowder, you really can’t go wrong. They also have desserts! If you’re headed to gamble, there’s no need to gamble on your meal as well. Red Lantern has a full gluten-free menu complete with sushi and fried rice dishes. They prepare their GF items separately and safely, although they are not a dedicated gluten-free facility. This list wouldn’t be complete without a lobster roll, so here it is. Lobster Landing offers a gluten-free roll option, which is totally fun. They’re not a dedicated gluten-free facility, so if you’re highly sensitive to gluten, take note. Shayna B’s By the Sea isn’t fooling around. Everything in the place is vegan AND gluten free, which is a common request these days. You can order breakfast, brunch, or lunch and sit down at one of their cool, hand-hewn tables, or just pop in for one of their decadent muffins, a loaf of bread or a decadent dessert. Did we mention that they do GF/vegan special orders and catering as well? Tibetan Kitchen is one of those places that everyone loves, gluten free or not. All of their dishes are made to order, so they can tailor them to suit your dietary needs. Just be sure to inform your server beforehand. Not a dedicated GF facility. Eggs Up Restaurant is celiac-owned. They offer a huge GF breakfast and lunch menu including pancakes and French toast, and they bake gluten-free muffins in-house daily. Although they go to great lengths to ensure that your meal is prepared safely, Eggs Up is not a dedicated GF facility.